SKU: SIK-8000. Category: Elite Series Product Lines, Front Door Intercoms (Door Stations), Intercom Systems. 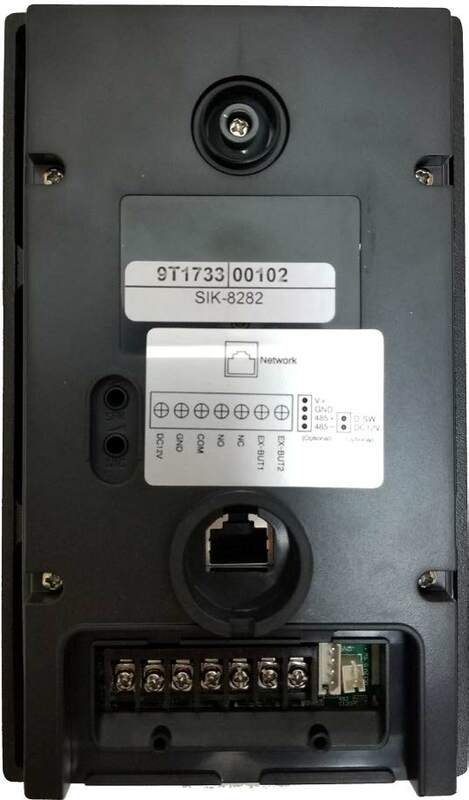 Tags: door intercom, door intercom system, elite series, front door intercom, home intercom, intercom system, intercom with keypad, ip intercom, keypad intercom, new mobile phone intercom, sik-8000. Channel Vision’s IP intercom door station system can be used with mobile phones, tablets and touchscreens to provide an all-inclusive IP door intercom solution to perimeter access control. Residents can use a key code for convenient and secure entry. The SIK series intercom is compatible with the ST-3078 and ST-3108 IP touch screen room stations and many SIP phone systems. Standard colors are, satin nickel, black, and oil rubbed bronze. Customized colors are available, please contact us for more details.